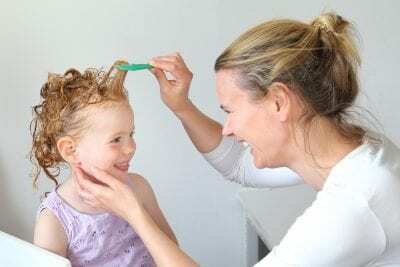 Should I Get Treated If My Kid Has Lice? With the children in school, it’s only a matter of time before a lice infestation breaks out in our region. Children tend to play in close proximity to each other. Plus, they share their favorite headwear and clothing, even toys, which provide a vehicle for head lice to spread. Even tough-and-tumble games on the playground can help the spread of lice. Of course, at the end of the day, your child comes home to the comfort of your living room, playroom or kitchen. But they may not be alone – those few head lice they acquired at recess came along for the ride! And now, you’re at risk. So yes – you should schedule prompt head lice treatment for both yourself and for your children. First, let’s examine what head lice are. Lice are small parasites that feed off the blood from your scalp. They’re small – each one is approximately the size of a sesame seed. Over time, the head lice can spread to encompass the entire scalp. An adult louse will lay around 10 eggs per day. These eggs, known as nits, can be found close to the scalp, attached to the hair itself. It is here that lice feed off your blood. Further, head lice are tough. They have evolved over the years to withstand being fully submerged underwater, being doused with over-the-counter medications, and getting all sudsy from your average shampoo. But it’s downright troublesome to rid your scalp of head lice – at least, without professional help it is! Did you notice a scratching response to that telltale itch? Or did the school nurse send home a note stating head lice were being passed around? In any case, you now suspect your child has head lice. Whether they do or not, it’s definitely time to check! Interestingly, only one in three people experience the telltale itchiness of a head lice issue. They have lice all right, but everything else seems to be business as usual. If your child tends to itch, it will likely be focused around the ears or back of the neck. The itching here is often more severe. To investigate, first use a fine-toothed comb to sift through the strands of hair. Inspect the comb after each pass-through. If lice are present, you’ll notice either adult lice or nits on the comb. How easily do lice spread? Coming into direct contact with someone who has head lice will not always result in transmission. You may not receive head lice from your children at all. However, it’s best to be checked by an expert. Scheduling for a head lice examination is a breeze. If you’re calling for your child, just mention yourself, too – it only makes sense. The safe treatment process begins with a thorough head check and comb-out at a professional head lice treatment center office. If your scalp and hair show no presence of head lice, you’ll be notified immediately. If you do have lice, then the next stage in the treatment process can easily handle the situation then and there! Schedule prompt head lice treatment with Lice Lifters by calling 972-805-1308 today. We’ll happily check your entire family for head lice. Head lice are an incredibly common occurrence in the school system. Typically, school-aged children – usually preschoolers – experience head lice. The head lice infestation then spreads to the family at home. It’s a common misconception that only those with dirty hair will receive head lice, though. Anyone can get head lice. For a preschooler, being around so many other children and people each day puts them at greater risk. Though head lice are often little more than a nuisance, you likely want them gone as quickly as possible. It’s time to deal with the problem! First and foremost, you need to understand what you’re dealing with. Head lice are miniscule bugs, around the size of a seed, and are typically pale and gray, though coloring may vary. Head lice feed on blood taken directly from the scalp and usually live for 1 to 2 days without eating. To spread, head lice lay their eggs directly on the hair closest to the scalp itself. These eggs are known as nits and are oval and about the size of a thread knot (0.8 mm long and 0.3 mm wide) and often wide or yellow in color. Once the egg hatches, the nit, or eggshell, remains on the hair follicle. Now, let’s discuss the life cycle of head lice on a preschooler. Nit – An egg or nit will hatch in 6 to 9 days. They are often located within a few millimeters of the scalp and do not survive any further from a food source. Nymph – The nymph is smaller than an adult louse and becomes an actual louse 7 days after hatching. Louse – An adult head lice specimen is known as a louse. An adult louse can lay up to 10 eggs each day and requires 10 to 14 days to reach adulthood from the nit stage. Your instinct will be to immediately rush to the nearest supermarket or drugstore for over-the-counter lice treatment medications. Fight that urge, though. These products contain numerous chemicals which may prove harmful to your children. Furthermore, most of today’s head lice have evolved to withstand such pesticides entirely. Instead, trust in professional head lice treatment. Such a treatment plan will include a thorough head check, then a comprehensive comb-out, and finally the administering of non-toxic head lice treatment solutions. Overall, the appointment should not take long to complete. You’ll go home feeling fresh and clean, and without the pesky symptoms of head lice. We urge parents to always call Lice Lifters for an all-natural head lice treatment. Our solution is guaranteed to kill head lice and prevent the further spread of a head lice infestation. 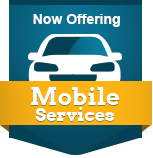 Give us a call at 972-805-1308. We’ll set up a quick appointment for your children and yourself and rid your scalp of annoying head lice for good. One quick treatment. Done! Guaranteed.